Last summer at the Burlington Farmers Market, Carolyn Moore and her young daughter shopped together. The toddler would help her mother choose food at the Full Moon Farm vendor stand. Then they'd settle on the grass and sometimes listen to music. "She would dig right into the bag and pull out tomatoes," said Moore, who lives in South Burlington. "It's one of those things about living in Vermont: She's getting to understand where her food comes from, and being part of that process is now ingrained in her being." While this scenario might appear typical of shopping at a farmers market — selecting what you want at a vendor stand — Moore was actually getting food as a member of Full Moon Farm's CSA (community supported agriculture) program. This means she paid in advance for a share of the farm's yield and received food through its summer season. 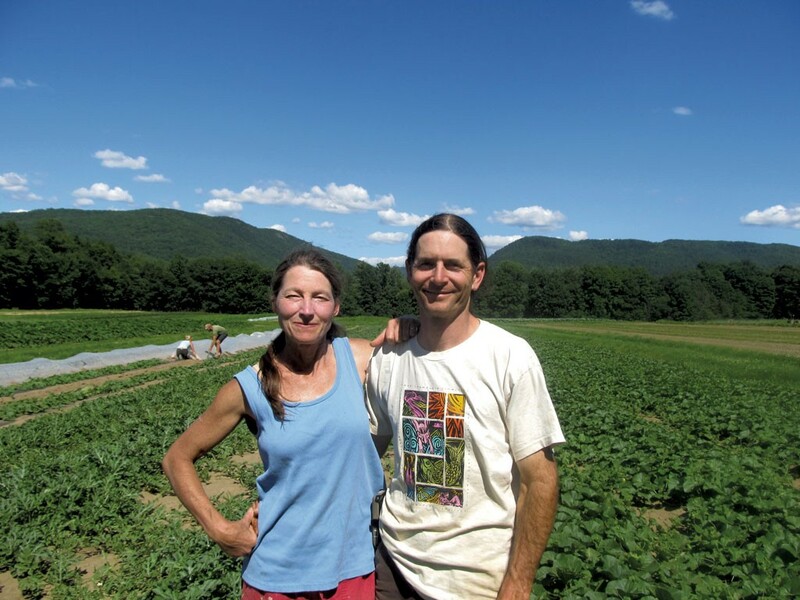 Full Moon Farm is a certified organic farm in Hinesburg that started 20 years ago at the Intervale in Burlington. During that time, farmer-owners Rachel Nevitt and David Zuckerman (who's also the state's lieutenant governor) have expanded their offerings to about 45 vegetable crops, as well as chicken, pork and flowers. Now, after a small trial run last summer and during the winter, the farmers are poised to change their CSA business model. They're moving from a more traditional format — in which CSA members go to a set pickup site each week and receive a (mostly) farmer-determined allotment of food — to one of greater flexibility. This summer season, using a card payment system, Full Moon members will be able to pick up their share at any of five sites and select whatever food they want. "It was really good for us," said Moore, who participated in the farm's trial. "We were able to get delicious, organic local produce through the CSA and ... to choose items that worked well for our family. We like knowing that we're supporting the community." The change at Full Moon Farm is indicative of larger shifts in this farming model as CSAs expand or tweak how they do business and what they offer members. These changes include more specialized CSAs: Mushroom, herbal remedy and meal-kit CSAs (think a local, organic Blue Apron) are all available. The reshaping of CSAs also means farms that produce the traditional CSA product — vegetables — are devising models that give members greater choice in payment plans, pickup locations and food selection. 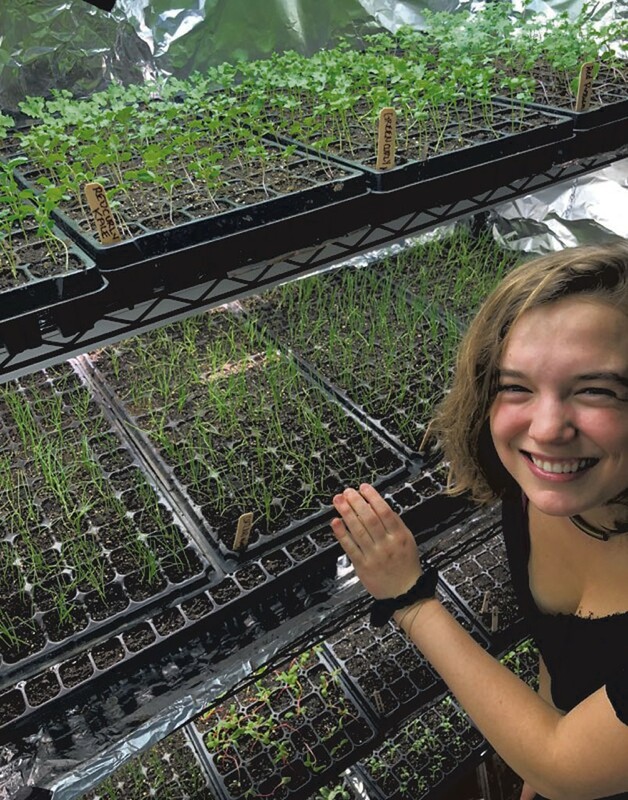 "There's a lot of variety right now," said Erin Buckwalter, market development director at the Northeast Organic Farming Association of Vermont. "This is a story I'm trying to help people understand." As models change, at least two factors are key to being a CSA, according to Buckwalter: early season buy-in to the farm, and the direct relationship between the farm and its members. With sign-ups for summer CSAs now under way, Seven Days talked to four farmers about their models. In the new free-choice model at Full Moon, members purchase a card that entitles them to a certain value of farm food during the season. Its value includes a bonus of 6 to 11 percent, depending on the size of the share and the date purchased. (A bigger bonus comes with a pre-April 15 sign-up.) Members can use the card to buy vegetables, chicken, pork, eggs and flowers in any combination they desire. They can get their food at any of the farm's five weekly pickup locations, with no commitment to a specific site each week. 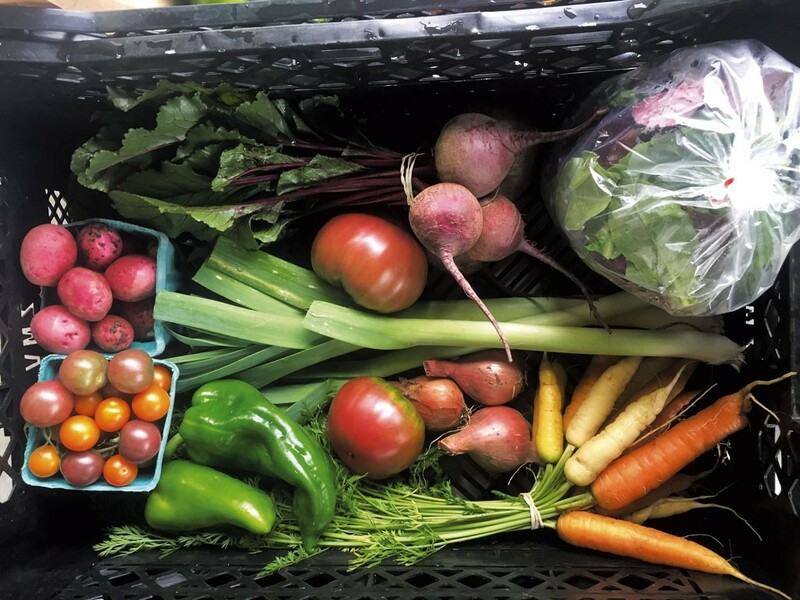 If members go away for a week or two, they don't miss out on their food; they simply retain value on their CSA card to use another week. "The changing times [mean] that people need flexibility," Nevitt said. "People are maxed out, and so they need something that's going to work ... We're going to revamp our whole business model to meet the changing times." Several factors figured into the farmers' decision to create a new format, they said: increased competition in the CSA and retail markets, consumers' desire or need for flexibility and convenience in shopping, dietary needs and restrictions that make it attractive for people to choose their own food, and considerations about waste from prescribed CSA shares that might be too big or contain items people don't like. "I do think that the additional competition is part of what has led to more innovation in models," Zuckerman wrote in an email. "But it also does make it harder for the model to be the economically sustainable system it was supposed to be for farmers." For the farmers, free-choice membership means figuring out how much food to bring to each site without precise knowledge of how many people will be there and what choices they'll make. But Nevitt said they "have a general sense of what people want — we've been doing this 20 years." The feedback from the trial run was positive, Nevitt said: "Folks loved it, and so we're going for it." The summer/fall CSA card can be purchased in several values to represent different share sizes. These range from mini for $295 to large for $1,000, with two share sizes in between. In addition, an unlimited share for $1,200 is available for members who have been with the farm for at least two years. The unlimited share entitles people to help themselves to as much food as they want. Members can use their card over the 18-week summer season or through the Burlington Farmers Market outdoor run. 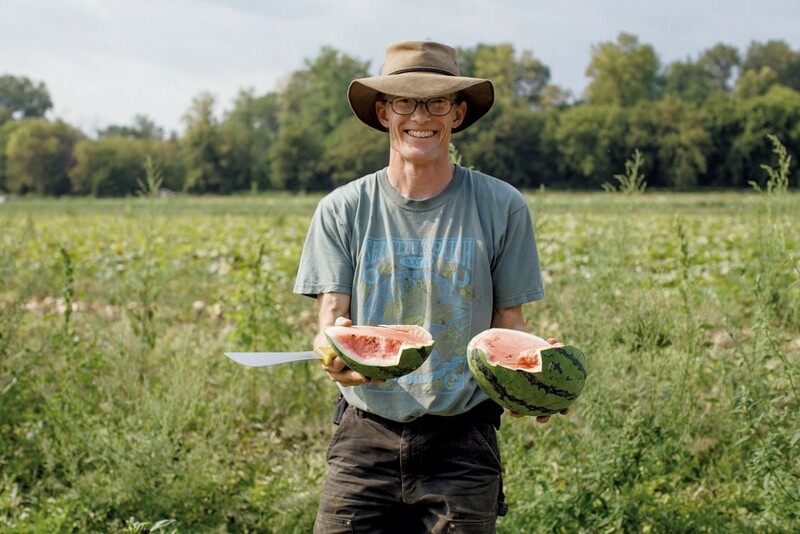 For 25 years, Andy Jones has been the farm manager at Intervale Community Farm in Burlington. When he started at ICF, the farm had 120 members and was the only CSA at the Intervale. Now ICF, a member-owned, organic vegetable farm, has 650 summer members and is the largest CSA in Chittenden County — if not the state. Jones and his crew grow 30 to 35 crops annually on 25 acres. "We tend to simplify things," he said. "But everything is super fresh, super high quality. We standardized around super high quality with a competitive price." Farm members — 1,200 to 1,500 per week — pick up their shares at ICF. The harvest is presented in a manner that offers them choices. For example, they can take two pounds total of kale, lettuce, greens and cabbage displayed on a table, or select from an array of root vegetables. Giving people choice, Jones said, "makes it a lot easier to be part of a CSA. "Our niche has always been kind of basic vegetables, good value and the on-farm experience," he continued. It includes a pick-your-own element. "That has been the case since we hit on that three-part formula in the late '90s." In his market analysis, Jones has found that a summer share at ICF yields about a 50 percent savings over purchasing organic produce at retail outlets. That number has been consistent year after year. For new CSAs, Jones recommends finding a niche. "I think it's hard to break in," he said. "I think identifying a niche is really important, and trying to do something to differentiate yourself is critical." ICF offers three share sizes to members, ranging from $530 for small to $950 for large, or $25.24 and $45.24, respectively, per week over the 21-week summer season. The farm also donates about 50,000 pounds of food a year, or one-sixth of its total output, to local food banks, Jones noted. Kyle Doda, 32, started his hillside farm in Brookfield five years ago. His CSA has two components: a diversified vegetable share and a mushroom CSA. The certified organic farm offers shares 45 weeks per year and provides fresh crops during the winter. "Something I've always focused on is trying to push the limits of what I grow during the winter," he said. The greenhouse produces kale, lettuce mix and radishes, among other veggies. 1000 Stone delivers to two work sites in Montpelier, with additional pickups at the Burlington Farmers Market and Onion River Outdoors on Langdon Street in Montpelier. Doda plans to do a pop-up market at the Langdon Street site Wednesdays from 4 to 6 p.m., open to all. Members who pick up their shares at one of the two markets can swap out items if they prefer to get something else, he said, though it's not a common occurrence. "People seem to like my choices," said Doda, who provides a weekly recipe corresponding with the share. "We try to grow a premium product that is amazing in flavor and beautiful and good for everyone." Year-round members have a five-month payment plan, from February to June. During this time, the farm is short on cash flow and expenses are starting to pick up, including payroll, Doda noted. He prioritizes paying people a livable wage with a goal of paying all employees $15 an hour by the end of this year, he said. Doda said he is pleased to belong to a group of young food producers in the state. "There's an influx of people that want to grow food and are passionate about it, but that's not a bad problem to have," he said. Competition, he believes, sparks innovation and creativity. "I'm friends with everyone I compete with," Doda said. "And I want to see them succeed just as much as I want us to succeed." The farm's 20-week summer CSA starts May 31. Two share sizes, small and large, are $375 ($18.75 per week) and $550 ($27.50 per week). A new vegetable farm in Charlotte is offering a riff on the CSA model. In fact, the version is so new that it's not a CSA at all, director of operations Sara Jean Whelan said. It's a digital alternative. The plan at Three Chimney Farm is to "tap into the niche of people who want to support local farmers directly but can't have a CSA for any number of reasons," Whelan said. The online service, which starts June 4, is available to people who work at three co-working sites in Burlington. Customers place a weekly (or occasional) digital order for their food, with no up-front payment or commitment to purchase a certain amount. The online shop is open Mondays and Tuesdays, with deliveries on Wednesdays and Thursdays. For people who don't work at one of the sites, Three Chimney will deliver to Foam Brewers on the Burlington waterfront on Wednesdays from 5 to 7 p.m. There will also be a pop-up market at the site. Expected prices are $3 for a bunch of carrots, $3.50 for a bunch of kale and $5.50 for a bag of salad mix, according to Whelan. "It's very streamlined," she said. "It's pretty much like any other e-commerce site. It's like going online to buy a pair of shoes." Learn more about CSAs in Vermont at nofa.org. The original print version of this article was headlined "Food Fares"
What Works, and Doesn't, About Farmers Markets? Sally Pollak is a Seven Days staff writer. Where is Vermont’s Burgeoning Population of Seniors Going to Live?